The European Union. In these times many are upset that Great Britain has decided to leave the union. A disappointment that seem to have it's roots in far-right propaganda which for some reason has become synonymous with EU-criticism, in particular Brexit. Confusion prevails and an in-depth look at the facts is in order. It's hard to believe that the negative opinions are in proportion to the general understanding of what the European Union actually is, i.e. 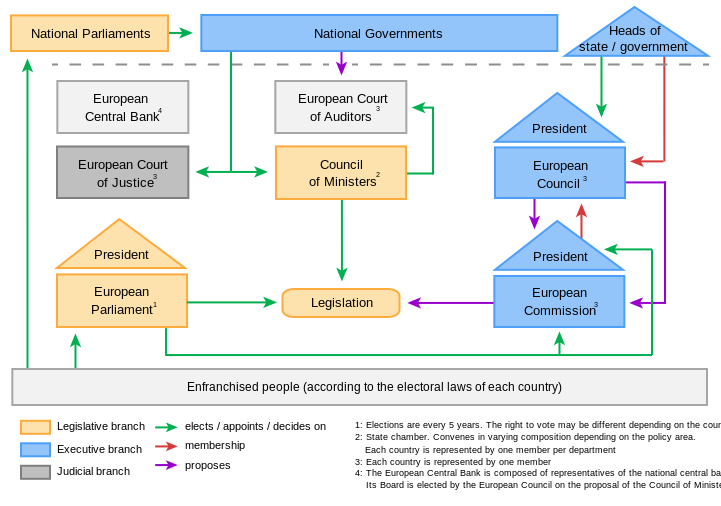 an intercontinental economic and political union between 28 European member states that have "pooled"* parts of their sovereignty to the seven institutions of the European Union. These institutions are: the European Council, the Council of the European Union, the European Parliament, the European Commission, the Court of Justice of the European Union, the European Central Bank, and the European Court of Auditors. The main goal of the union is to promote economic growth, through maintaining common policies in trade and ensuring free movement of people, goods and capital between the member states. It also aims to endorse human rights and peace both locally and around the world. 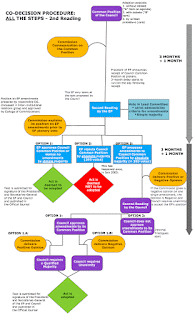 Coming up with and enforcing treaties is the method they use to meet these goals. Supposedly focus on transparency is of great importance to the decision making. Democratic principles are essential. All this sounds well and good on the paper, but in reality much is left to be desired. Let me address three core issues that gravely undermines the credibility of the European Union. Starting off with how EU works - how the treaties are being created and adapted - a constant critique has been over-complexity. 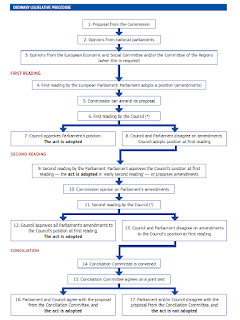 Please take a look at the following diagrams, the first one by the European Commission showing an over-simplified version of how the ordinary legislative procedure works, the ones beneath showing the procedure in greater detail. The fourth one shows common problems associated with legislative procedures. 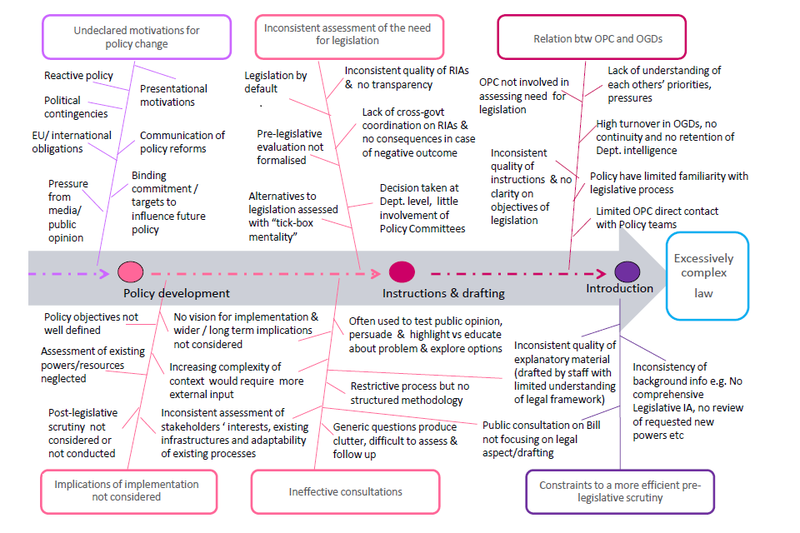 "The following diagram summarises potential issues that may emerge in the Policy to Bill phase and can cause unnecessary complexity in Bills introduced to Parliament. 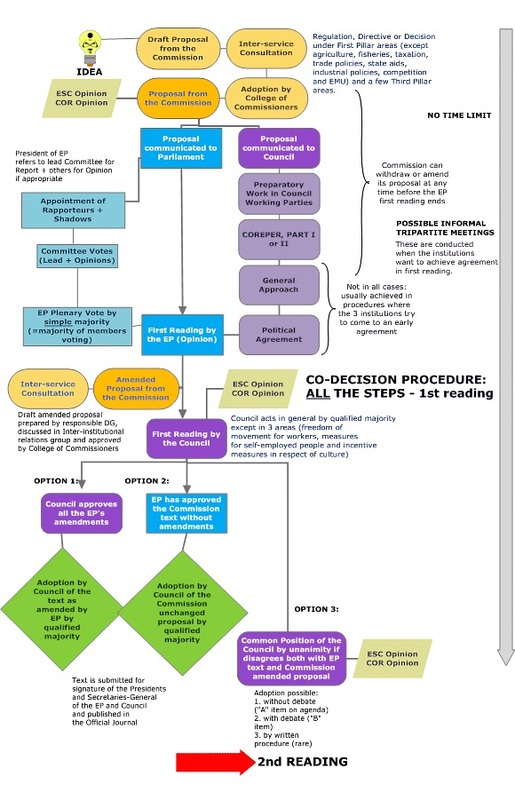 "[link] Even though this diagram relates to the bureaucratic process in the UK, the issues most certainly are the same for the institutions in Brussels. 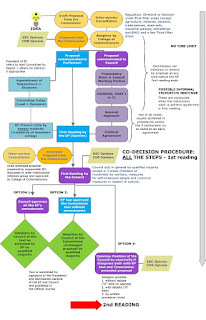 To understand all these steps one has to know how the institutions are connected to each other, what they are made up of and how they work, which demands serious legal understanding and knowledge of technical terminology. 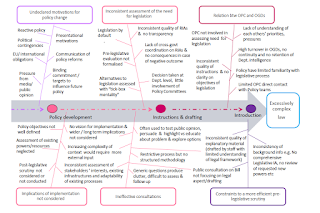 The sheer complexity alone compromises their main objective of being transparent and democratic. 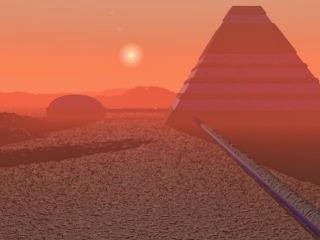 Another grave problem is the widespread lobbyism. According to The Guardian, in 2014, there were 30 000 lobbyists (of which up to 80% represent industrial interests) affecting the legislation processes in Brussels. 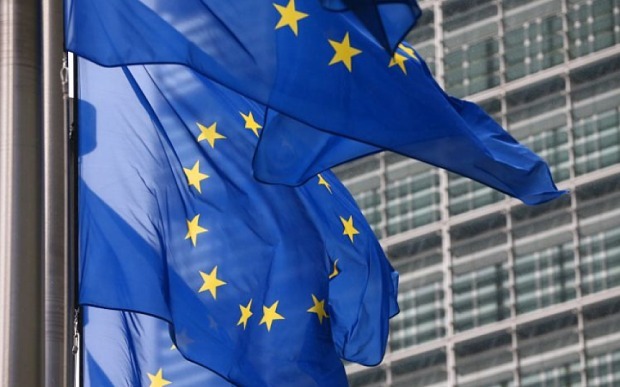 As the purpose of lobbyists is to mold juridical decision-making to their advantage, one has to ask how reasonable it is to allow this amount of private economic interest to influence the workings of mentioned institutions - said to work for the greater good of Europe and it's citizens. 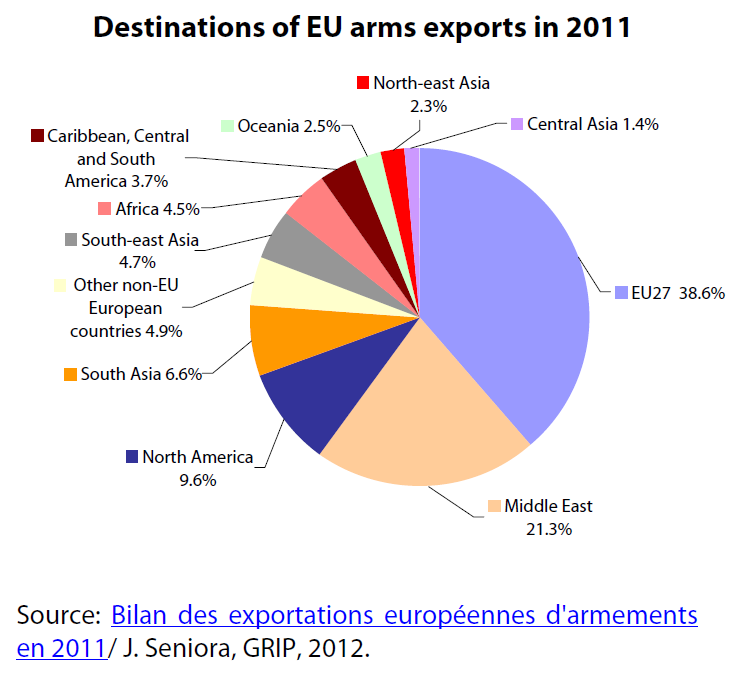 Moving on, the European Union likes to boast about it's contributions to world peace, human rights and democracy. 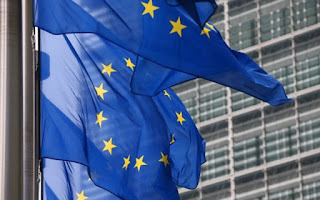 It even got the Nobel Peace Prize in 2012 for its alleged efforts in this regard, and it might be true that its policies to some degree have helped maintain a peaceful Europe. 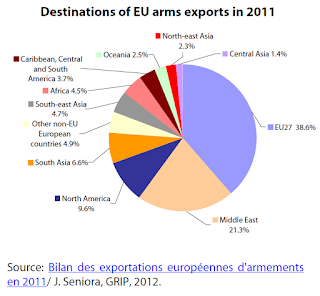 But claiming that EU is a peace promoting entity doesn't compute with the fact that many if not most of it's member states during the last decades have been producing and exporting arms worth hundreds of billions of Euro. 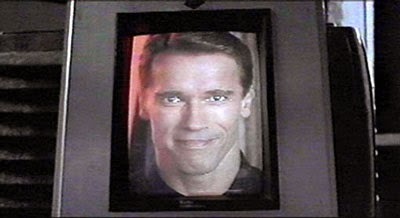 Spreading weapons - products made to harm and kill human beings - on a global scale. Enough for a Nobel Peace Prize? Actually, yes. Seeing as the Union says one thing but acts oppositely on several key issues, one has to wonder how valuable the membership was for Great Britain in the first place. Even if their borders will tighten up (we'll see, it might be pure propaganda talking), but they already had an op-out from the Shengen-agreement and countries like Hungary has put up massive barb-wired fences around its borders and keeps on being a EU-member, so ultimately it's Britain's own decision how open or secluded they wish to be - with or without membership. 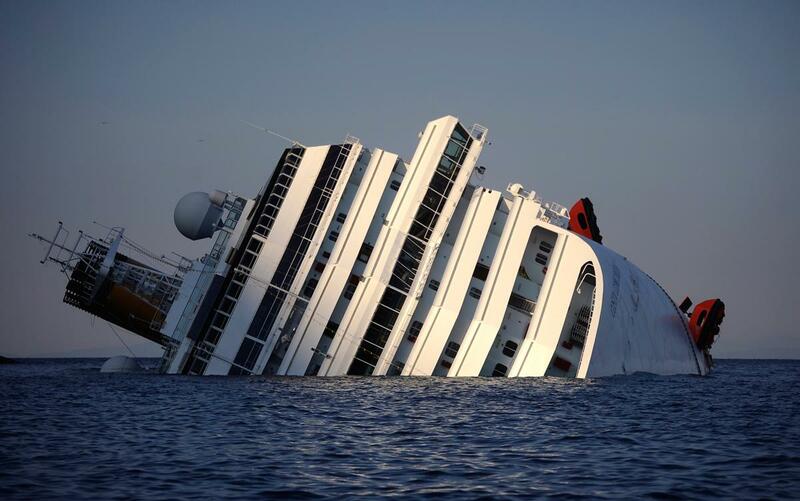 In 2012, during the high storm of the economic crisis, the luxury cruise ship Costa Concordia capsized. 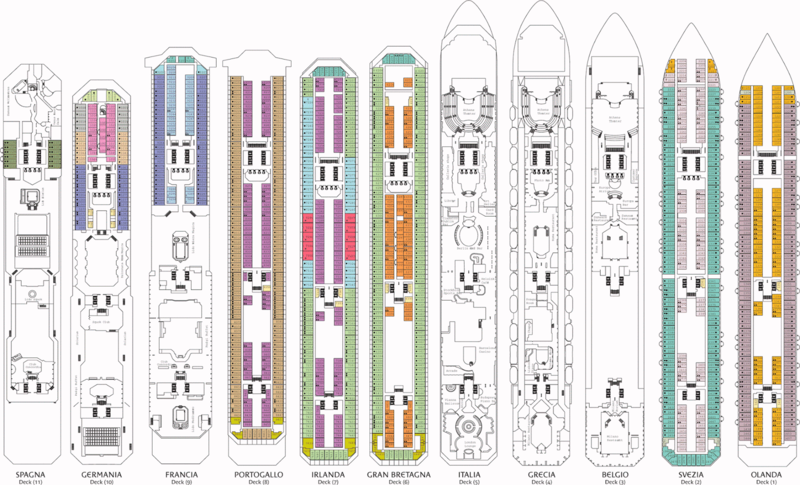 It was the biggest Italian built ship of all time and its 13 decks were all named after EU nations, thus serving as an omen for the future of the EU-project. 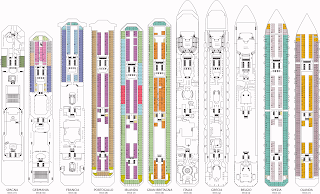 The deck plans of Costa Concordia. With Brexit a serious dent has been made in the hull of Costa Unión Europea. Considering the lack of ethical and democratic judgment by this over-complex bureaucratic machine, hypocritical to its very core, this should be saluted rather than criticized. 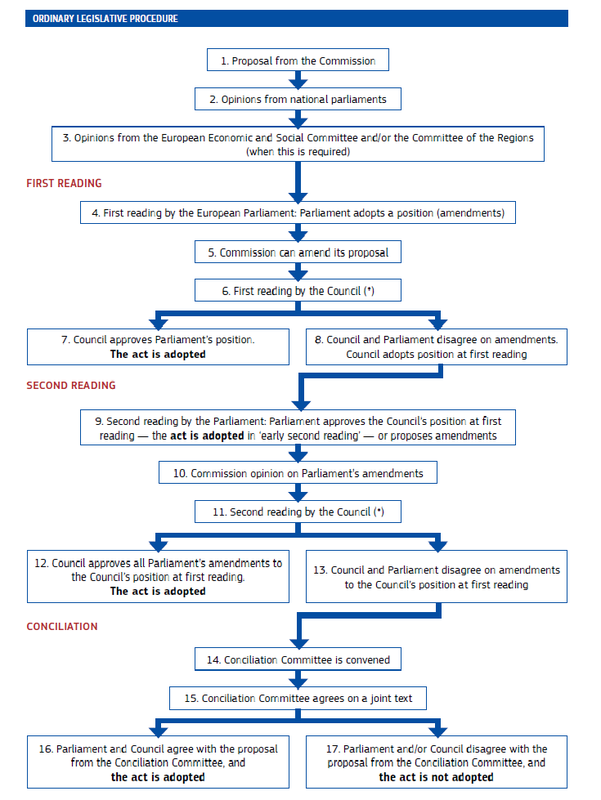 This word is used in the official "How the European Union works"-document put together by the European Comission in 2014.